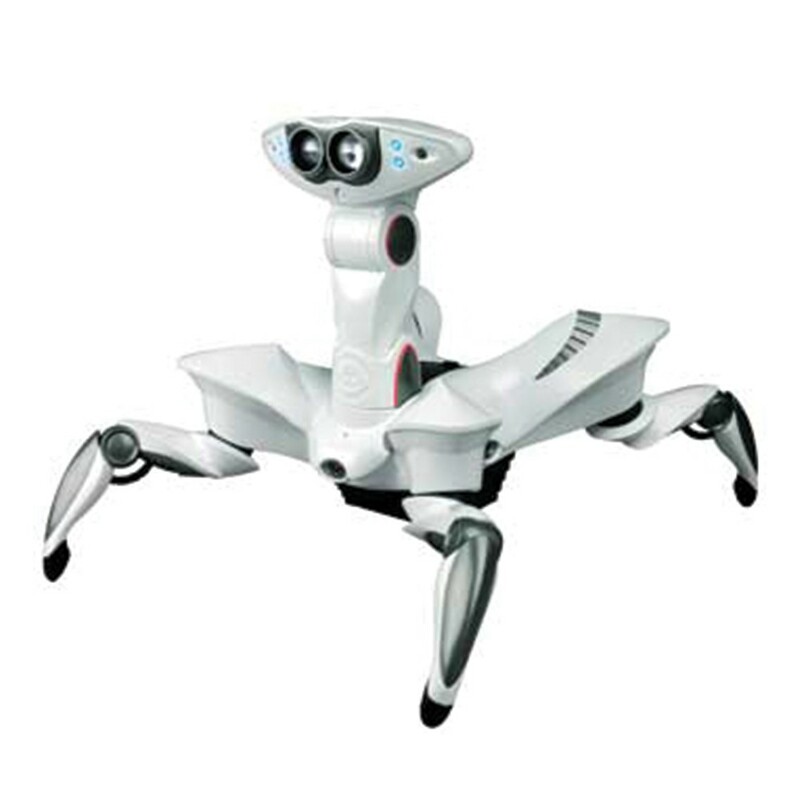 Roboquad is an inquisitive robot with unique movements and an advanced sensor array. Change his Awareness, Activity or Aggression levels to completely alter his personality and behaviors. Interact with his long range, IR scanner and sound sensor, control him with the full function remote and watch him react in extraordinary ways.